Nelson Brown > News and Events > Hair > Superdiscount Saturday & Sunday – Online Only at NB!!! Superdiscount Saturday & Sunday – Online Only at NB!!! superdiscount online only at NB!!! You know how much we love you all….so here’s a token of our appreciation for you! On Saturday 15th & Sunday 16th September we are holding a spectacular superdiscount weekend – just for you! We are offering you a 15% discount on all Windle & Moodie products ordered online this weekend only! There’s no limit on how many products you can purchase over the weekend PLUS you get free samples with every order! 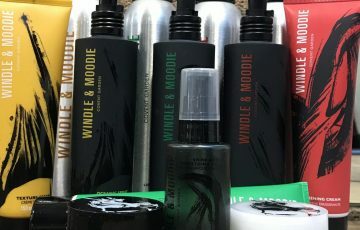 So that’s 15% off ALL Windle & Moodie products PLUS free samples with every online order….just for you, our lovely clients! Enter the code superdiscount at the checkout to receive your exclusive discount. If you’re new to Windle & Moodie some of the products already have our product guide videos uploaded. Our product guides include Nelsons exclusive top tips on using them. Keep checking back for more guides as we’re updating them regularly just for you! Be good to yourself this weekend….with love from Team NB!